Microsoft and other computer experts have always recommended to password-protect your computer so that no stranger or hackers can access your computer without your authentic permission. And surely, we use very secure passwords these days mixed with letters and numbers and special characters making it extremely harder to crack. So, if you regularly change your computer passwords, then it is possible that sometimes you may forget your own Windows 7 password. In this tutorial, we will show see how to reset forgotten Windows 7 password without a disk. Surely, you can reset your computer password if you have pre-made a password reset disk, but in most cases, no one cares to create a password reset disk for their computer. So, we will demonstrate how to reset your Windows 7 password without using any password reset disk and without reinstalling the operating system all over again. Of course, we will need to use a third party software to achieve this task, and there are many software tools available online that promises to remove the password from your PC but most of the cases they turn out to be a virus, malware or they don’t simply work. But in this guide, we will introduce to a genuine and working program that can resolve this task. That’s where UUkeys Windows Password Mate comes for rescue. 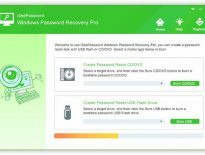 It is a tremendous and innovative Windows password recovery program that gives you the ability to completely remove the password from your computer without re-installing OS or losing any data. It can crack a password of any Windows version computers including Windows XP, 2000, 7, 8 and Windows 10. It has been tested in both 32 bit and the 64-bit version of Windows OS, and it has been successfully removing the password from all of them. Moreover, we have tested this program in the myriad of computer and laptop brands like Samsung, Sony, Toshiba, Lenovo, HP, Dell, etc. and it works perfectly with all of them. 100% guaranteed that the password will be removed from your Windows PC. Works with both local and administrator user accounts. Compatible with every computer and laptop brands. Supported in all Windows versions including Windows 7, 8 and Windows 10. Compatible with every kind of hard drives like SATA, IDE, SCSI, etc. 100% safe and very easy to use. Gives the ability to create password reset disk in 2 ways – USB Driver and CD/DVD. A USB flash drive with 500M free storage or a writable CD/DVD. A different computer with administrator rights. The procedure is very simple and straightforward, and it should take few minutes to remove the password from your computer. Follow these below steps, and you should be able to reset the password of your Windows computer. 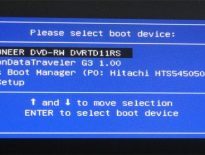 The first step is to borrow a working computer with admin privileges from a friend or family member so that you can install the program and create the password reset disk. Simply, download the tool and install it by reading the setup manual. Next, run the program upon installation so that you can start creating the password reset disk. Either insert a USB flash drive or a writable CD/DVD to the PC and wait for the system to recognize it automatically. Next, choose the driver name from the drop-down options and then, click on “Burn USB” if you are using a USB drive or click on “Burn CD/DVD” if you are using a writable CD/DVD. Now, take the password reset disk and plug it in with your locked system and reboot your PC. Keep pressing F2, F12 or Del to enter into the boot menu option and select the driver name so that it can load UUkeys program on the startup screen. Once the UUkeys program is loaded on the display screen, you are only a few steps away from removing the password from your PC permanently. Select the OS that you are using and its version. For instance, Windows 7 in your case. From the middle column, select the main administrator username account that is currently locked. Click on “Reset Password” once and then click on “Reboot”. Now simply eject the password reset disk from your PC and access your computer normally without using any password at all. That’s all. We have demonstrated how to use UUkeys program to remove the password from your Windows 7 computer completely. It is 100% guaranteed that no files or folders will be erased from your computer and you should be able to access your PC just like before normally. If you run into any trouble with the program, then visit the official website and ask for support to get an early assistant.